WIN! One of 5 TP-Link Smart Home Upgrade kits! 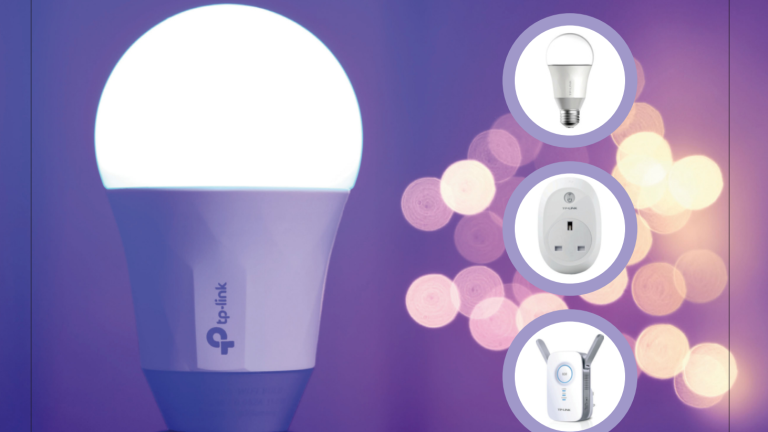 Within the last year, the smart-home scene has blown up – but if you’ve not yet jumped on the bandwagon, fret not, because we’ve got a gaggle of connected gadgets to give away to five lucky readers, courtesy of TP-Link. The kit starts with a TP-Link RE305 AC1200 Wi-Fi range extender, which will boost wireless signal to all those hard-to-reach areas in your home, guaranteeing that all your connected gadgets will work wherever you put them. Next up is the TP-Link LB130 Smart Wi-Fi LED bulb with Colour Changing Hue, which, when plugged into a light fixture such as a table lamp, enables you to control your lighting via your phone or tablet over Wi-Fi. With a tap of your screen, you can change colour (up to 16 million of them), and adjust brightness and softness. The final piece of the puzzle is the TP-Link Wi-Fi Smart Plug HS100, which enables you to take control of your electricals, so you can turn them on remotely and schedule their use. Both the bulb and smart plug have Alexa voice control built in, so if you have an Amazon Echo you can use your voice to control them as well. To find out more about the TP-Link smart-home range, head over to uk.tp-link.com. The competition closes 24 March 2017. By taking part, you agree to be bound by the competition rules. Entries must be received by midnight on 24 March 2017 (UK time). Open to UK residents aged 18 years and over. There will be five winners, each entitled to one TP-Link smart- home upgrade bundle. The prize is non-transferable and non-refundable. There is no cash alternative.